What? Sunshine in Franklin NC?? Well it’s not all sunny today? Still a few showers, but we mow and mow and mow. 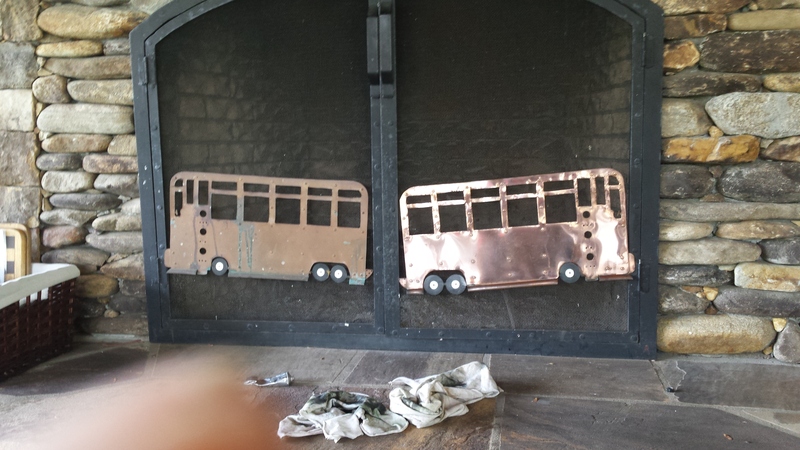 One of Miss Peggy’s projects is to refurbish the two “RV Bus” decorations on the fireplace screen. 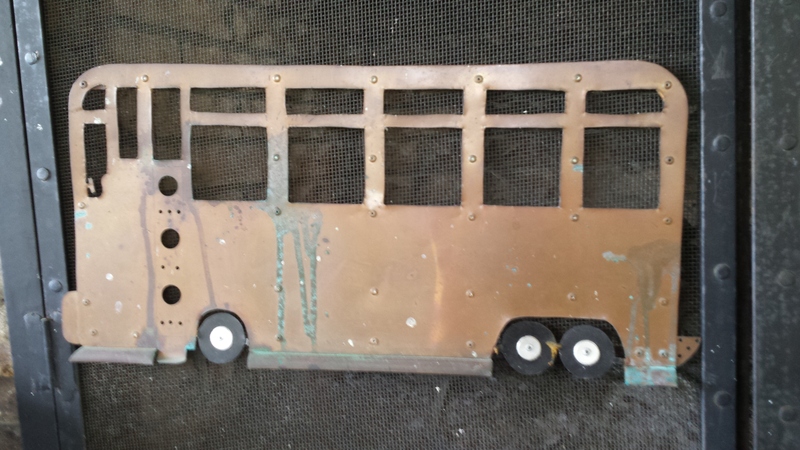 They are made of copper, brass, & other metals, and haven’t been cleaned since they were installed 3 years ago. After working on these about 1 hours a day for three days we are seeing improvement. This is all hand work! 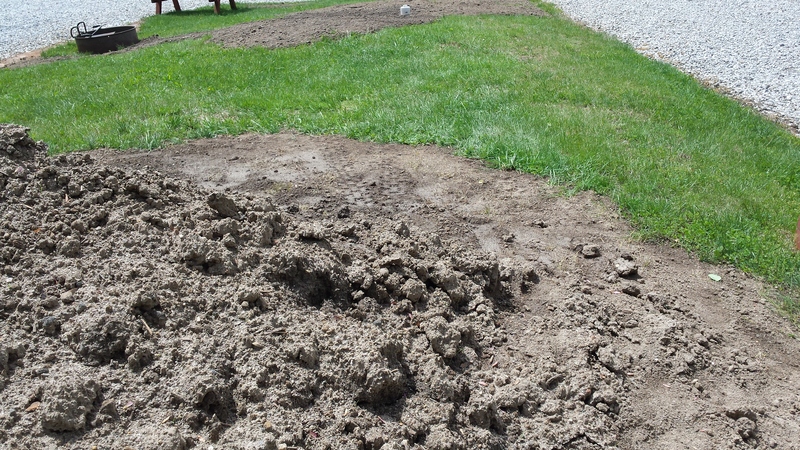 The pile of dirt isn’t getting much smaller! We had a nice campfire tonight even though we only two guests. 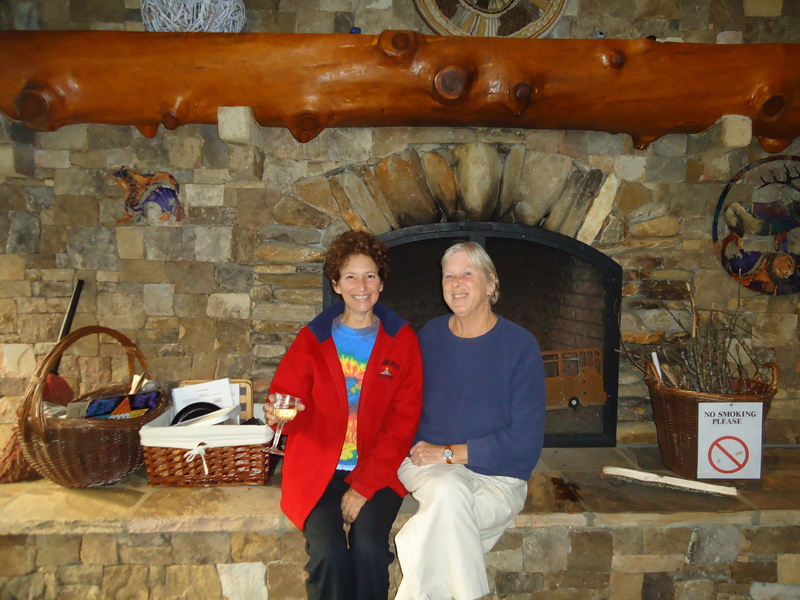 Recently retired teachers for a hiking trip leaving the hubbies back in Florida. The last two days flew by as we had sunny weather so it was outside work every day. 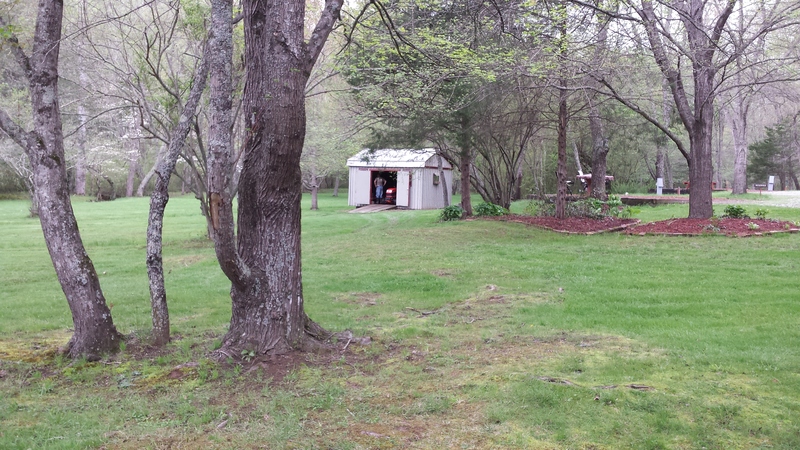 Flower beds to weed, weeds to spray, mowing, trimming and don’t forget the bath house and pavilion to keep clean. You can see me getting the tractor ready to roll. 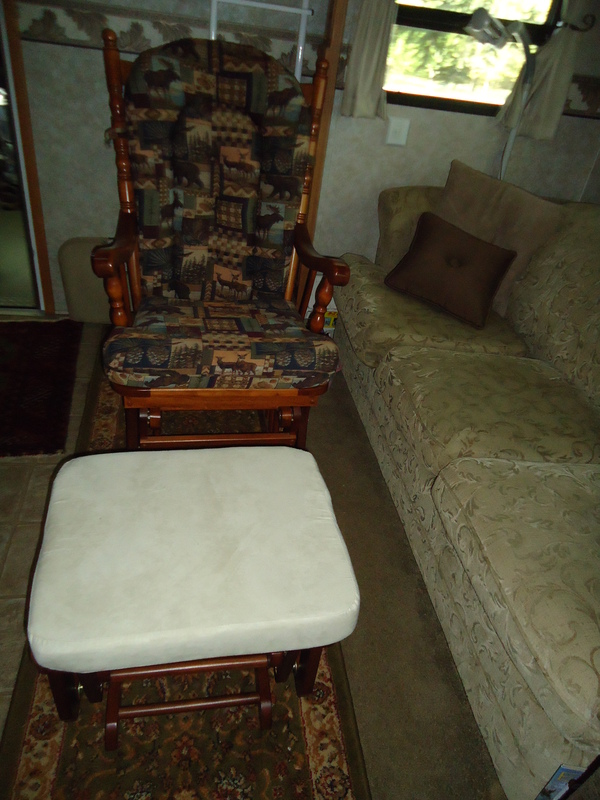 Last week I moved two chairs from Glenville to our fifth wheel. 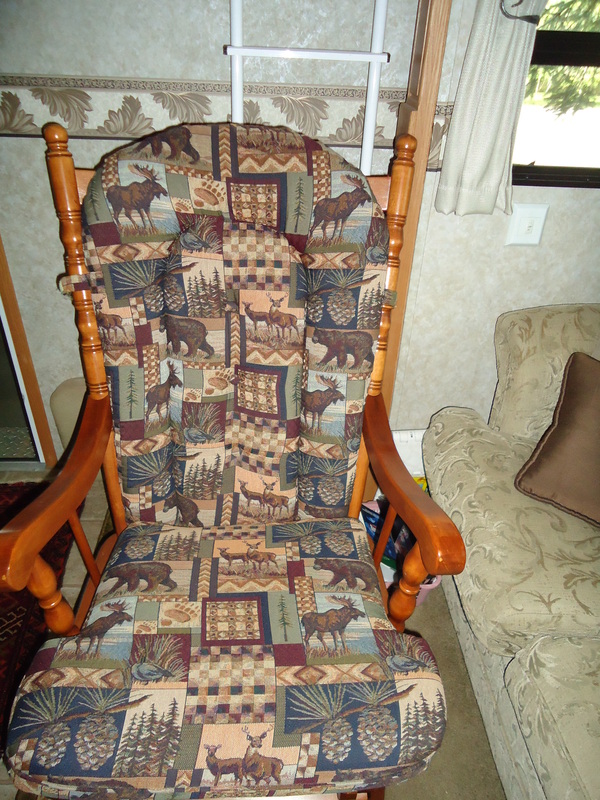 On the left is the leather chair for our office in the fifth wheel, on the right is Miss Peggy’s glider with the mountain print fabric. 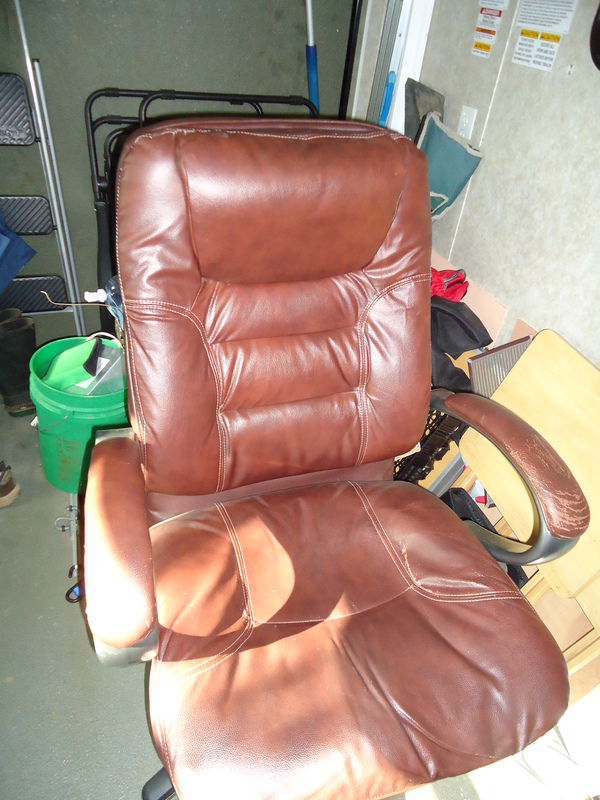 We have been looking for an ottoman to go with her chair, we have the fabric for it. Babies R Us had a special deal that beat out Amazon by 50 bucks so we had to buy it. 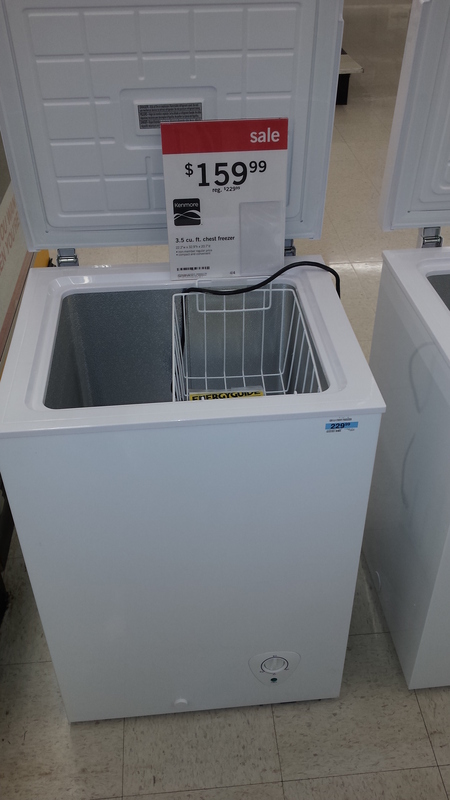 Speaking of purchases we had to buy this freezer. We have a very small location in the garage of the fifth wheel for a freezer. This one fit and it was on sale $70 off – that is 1/3 off. The only drawback is that we will fill it up with sale items. On Thursday I went to a real nice men’s group at Covenant Community Church and really enjoyed the guys. This entry was posted in Uncategorized and tagged boondocking, Camp Hosts, drycamping, fifth wheel, Franklin NC, Franklin RV Park, frugal rv, fulltimer, landyachty, remodel rv, RV Budget, RV Finances, toyhauler, workamp by landyachty. Bookmark the permalink.